Save time doing dictionary lookups! Simply point your camera at some Chinese text to get all the English definitions. Within just a couple of seconds of launching this Chinese OCR app, and without even touching the screen, you can be viewing word-by-word definitions of a complete line of Chinese text. The auto-snapshot feature means you won't have to keep awkwardly trying to position your camera. IMPORTANT NOTE: This app is designed for reading regular Chinese text (like in a book). It is NOT intended for reading things like shop signs, food labels or other images using stylized text, so please bear this in mind before purchasing. If you encounter ANY problems (e.g. stretched live preview) please contact us at [email protected] and we will do our very best to fix it. We have done lots of testing on many different devices but there may be some problematic camera drivers we have not yet come across. The screen shows the live camera preview and the app continuously scans it for Chinese. As words are recognized, the corresponding dictionary entries are displayed. a) Auto: the camera is continuously refocused and a snapshot is automatically taken as soon as the characters are recognized. b) Manual: you control when to focus and whether to use flash (if your device supports it). You also choose when to snapshot the preview image. Works with still images which are either snapshots of the camera preview or existing images (e.g. 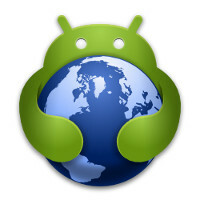 photos) you already have on your Android device. PLEASE: email us at [email protected] if you find a bug and we will get it fixed as soon as possible. Save time and money while learning the language with this application. This application is an offline English ↔ Chinese education application. This is a very fast dictionary app.